Here is the definitive work on the Jersey Devil. Yes, I know co-author Ray Miller is my brother-in-law. That doesn’t mean there’s no Jersey Devil. Doesn’t mean there is, either. For those of us who think we know everything, or someday will know everything (thanks to Science), allow me to introduce the Jersey Devil. Stories of the Jersey Devil have been circulating in New Jersey since the 1730s, and encounters with him, or it, are still being reported today ( http://weirdnj.com/stories/jersey-devil/ ). Normally associated with the Pine Barrens of southern NJ, the Devil has recently–so it seems–expanded his operations to the area of Round Valley Reservoir in the northern part of the state ( .http://thedamienzone.com/2012/06/16/jersey-devil-sightings-in-northern-new-jersey/) Over the centuries, he’s also popped up in other states. We are at liberty to say the stories aren’t true. There are an awful lot of stories, though. Thousands of ’em. And why should anyone but a kook want to go around saying he’s seen the Jersey Devil, when he hasn’t? Is everyone a liar? Is everyone a kook? We don’t have the fire, but we sure do have a lot of smoke. What is the Jersey Devil? Some say it’s just that–a devil, a demonic entity. Others insist it’s a flesh-and-blood cryptozoological critter, like the Loch Ness Monster. Or a raptor, like in Jurassic Park. The point is, no one knows. No one has ever known. And, in all probability, never will. 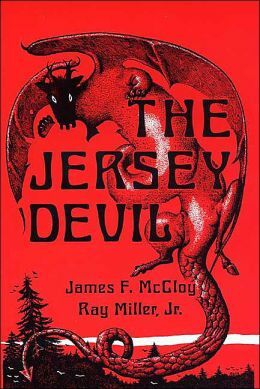 This entry was posted on Sunday, September 20th, 2015 at 10:41 am	and tagged with cryptozoology, encounters with the unknown, jersey devil, jersey devil sightings, legend of the jersey devil, new jersey folklore, new jersey pine barrens, round valley reservoir NJ, the jersey devil by ray miller and james mccloy and posted in nature, strange events. You can follow any responses to this entry through the RSS 2.0 feed. I’m quite fond of cryptozoology, but creatures like this one just creep me out. They’re not interesting. They’re just creepy. I’m not sure how to go at this particular phenomenon from a Biblical standpoint, either. It’s hard to theorize about something when you don’t know what it is. The Bible isn’t much on fanciful animals–the unicorns and dragons and satyrs mentioned in it, for instance, are inaccurate English translations of Hebrew words that don’t mean anything of the sort. But whatever the Jersey Devil is, it exists under the sovereign authority of the Most High God and is subject to His laws of nature: which is not to say we have those laws all figured out. I must think further on this point you’ve raised. I believe that there is a high possibility that the Jersey Devil is a reality. It is possible that is is just fake, but I can’t think of why anyone in the 1700s would make up stories about seeing a flying monster. There is much evidence in history and the present that so-called “prehistoric” animals really didn’t become extinct “billions of years ago”. Occasionally there would be an unidentified sea creature’s body wash up on a beach, and there are thousands of people who claim to see a lake monster, describing it as looking something like a “prehistoric” animal, like a plesiousar. Many people in ancient times speak freely of “dragons” of every kind. I couldn’t think of any reason an Ancient would make up a story about dragons. Welcome aboard, Jaroc! And if you’ll pardon the plug, I think you might enjoy my brother-in-law’s book about the Jersey Devil.